Unusually large or heavy items are not picked up as a part of the regular collection service. Arrangements for a “Special Pickup” must be made. This includes unusually large or heavy furniture and appliances. Special yard waste pickups are also available. Special junk and yard waste pickups are conducted on alternating weeks. Do not mix yard waste with junk. See Arrangements for Special Pickups below. One large item such as stoves, refrigerators (with freon sticker), water heaters, four rolls of carpeting cut into 4′ x 4′ pieces and rolled and tied (or taped), box spring, or mattress will be picked up with your regular garbage on collection day. However, we urge you to have the installer of your new appliances, etc. haul away your old articles. No upright pianos will be collected, no cast iron bathtubs, hazardous materials, construction materials will be picked up. Mattresses and clothed furniture must be wrapped in plastic for pick up. Refuse from construction projects will not be picked up. You should make arrangements with your contractor to dispose of construction refuse. Refuse from owner-performed projects will be treated as a special pickup. Pickups are made every other week on Tuesday for miscellaneous junk and every other week on Monday for yard waste. At some times, Rumpke can be flexible with the pick up schedule. Please feel free to ask them when you call. Please note: no special picks for yard waste are conducted from December 1 through March 1. Call Rumpke directly at 1-800-828-8171 to schedule a special pick up. Rumpke will be able to quote you the cost of the special pick up charge which is based on the time it takes to pick up your items, generally you are billed on a per-hour (loading time) basis. A small (4 cubic yard) dumpster is available for rental from Rumpke through the City Building. You can request the small dumpster at the City Building with payment of $50 (in advance, in the form of cash or a check payable to Rumpke). The dumpster is left on the resident’s property for a week, starting on Tuesday and running to the following Tuesday. If you need the dumpster emptied and brought back to you before your initial week is up, you must notify the City by the close of business on Wednesday. Extra dumps and returns can only occur on the Thursday of the week you have the dumpster rented, and there is an additional $50 charge for this extra dump and return. Additional weeks may be requested if no one else is scheduled to receive the dumpster, but each emptying is $50, paid in advance. No concrete can be placed in the dumpster due to the excessive weight and no yard waste is permitted in the dumpster as well. Rumpke reserves the right to cancel dumpster delivery and refund your money if a safe location to place the dumpster at your residence can not be found. Situations like these may include hilly/steep areas on the street where the dumpster may roll unsafely, or private lane/private drives where the truck can not safely access the property. Remember, it is a full-size garbage truck that delivers this dumpster. Some private lanes are too narrow and curvy to access. Once the dumpster is delivered and you begin to fill it, you must not move the dumpster to a different area of your property to load it. You must load it where Rumpke places it. 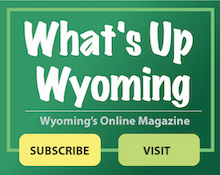 If there is a city-wide severe storm that has caused damage to private property throughout the City of Wyoming, the City Manager may make a determination that storm damage should be picked up by the city. Call the City Administration Building or email on the first business day following the storm (Monday through Friday, 8:00 a.m. to 5:00 p.m.) at 821-7600 to verify if the determination to collect storm damage has been made. If the decision to collect debris has been made, the Public Works Department will pick up limbs and debris that can be moved from the yard to the tree lawn (the lawn between the sidewalk and the curb or equivalent area). Disposal of entire trees is not permitted. Yard waste and debris will be picked up beginning the first Monday, following the storm. If the storm occurs on a weekend, the pickup will begin one week from the first Monday. Public Works will make one pickup per household. You must have your debris at the curb by the first collection date in order to be assured your debris will be collected. If you do not have your debris placed at the curb by the pickup date, disposal of limbs and brush must be done through Rumpke on regular trash pick-up days (following yard waste collection guidelines).